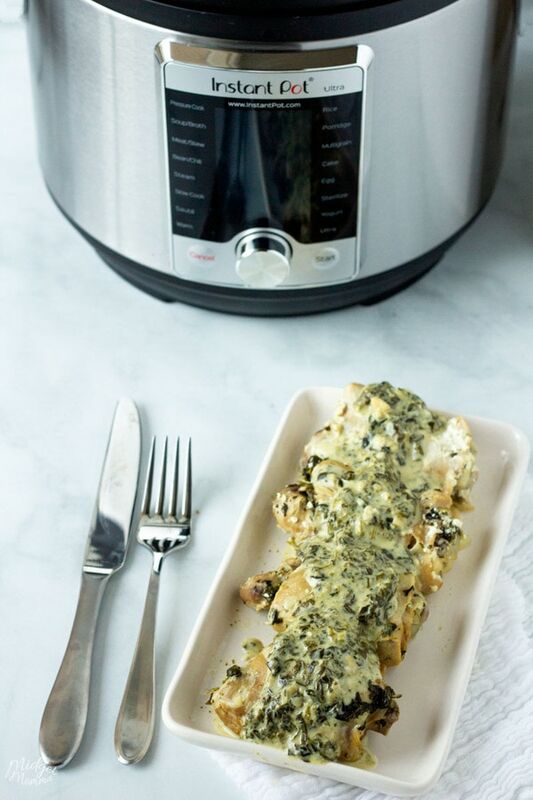 If you are looking for an amazing instant pot chicken thighs recipe then you are going to love this spinach artichoke chicken recipe! Cooked in the instant pot, this instant pot chicken thighs recipe is done in less then 20 minutes! 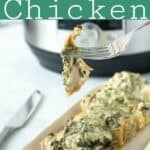 My whole family loved the Spinach Artichoke Chicken Casserole recipe I made, so I thought it would be great to have a quicker to make recipe with similar taste. 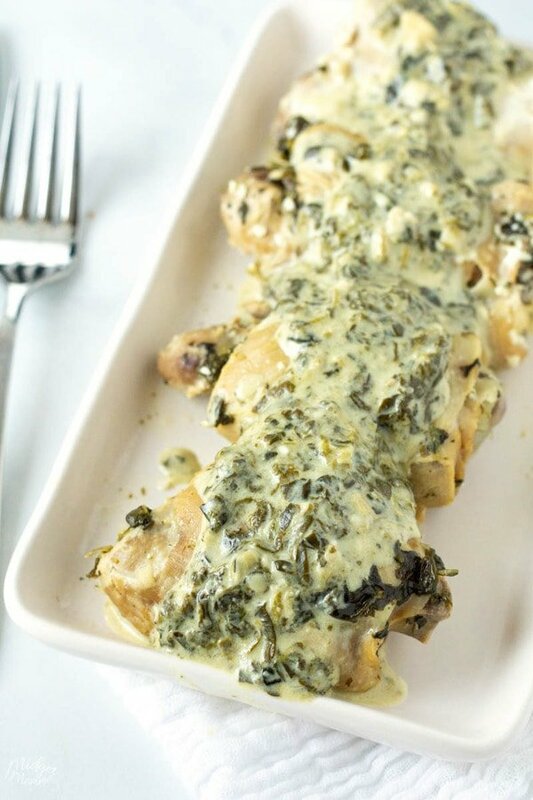 I don’t always have the time to wait 50 minutes for the casserole to cook, so with a few little adjustments, I was able to make another spinach artichoke chicken recipe that my whole family loved, that has a much shorter cook time. The other difference between the two spinach artichoke chicken recipes is that the casserole uses chicken breasts and this one uses chicken thighs. This Instant Pot Spinach And Artichoke Chicken Thighs recipe already has veggies in it, so I don’t always make a veggie side. It really all depends on how hungry everyone is that night, but I do make always make a salad to go with it. 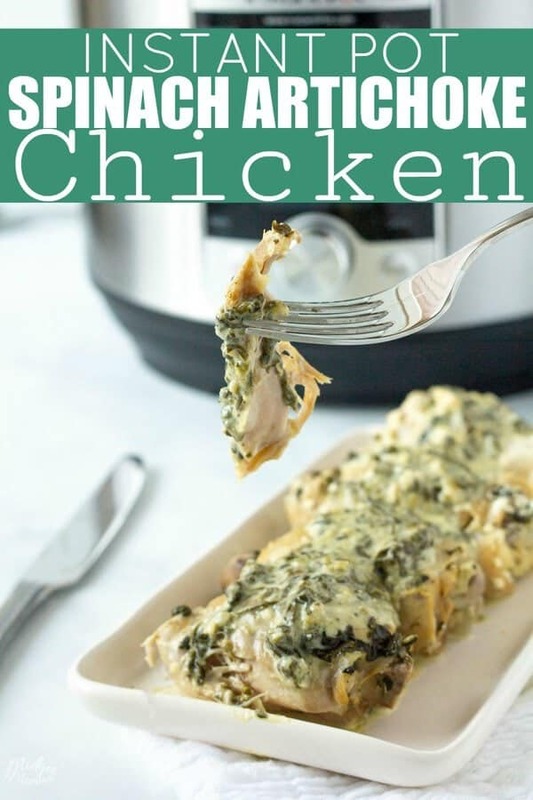 My kids favorite part was the creamy spinach artichoke sauce that comes from making this amazing Spinach Artichoke Instant Pot Chicken Thighs. 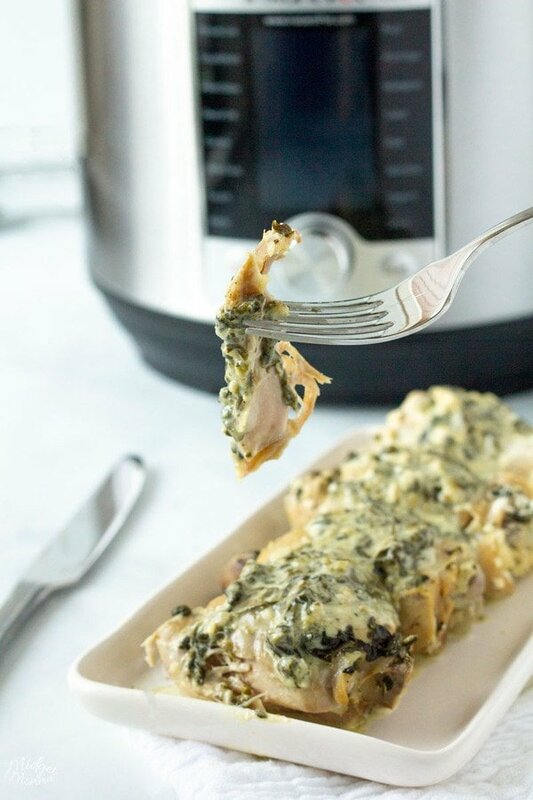 Even more so they loved that when you are making this easy instant pot chicken thighs recipe, you will end up with extra spinach and artichoke dip! That is totally a plus for us since my whole family loves spinach and artichoke dip! 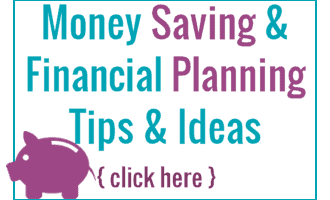 You can save the extra dip for the next day as a snack or enjoy it with dinner. 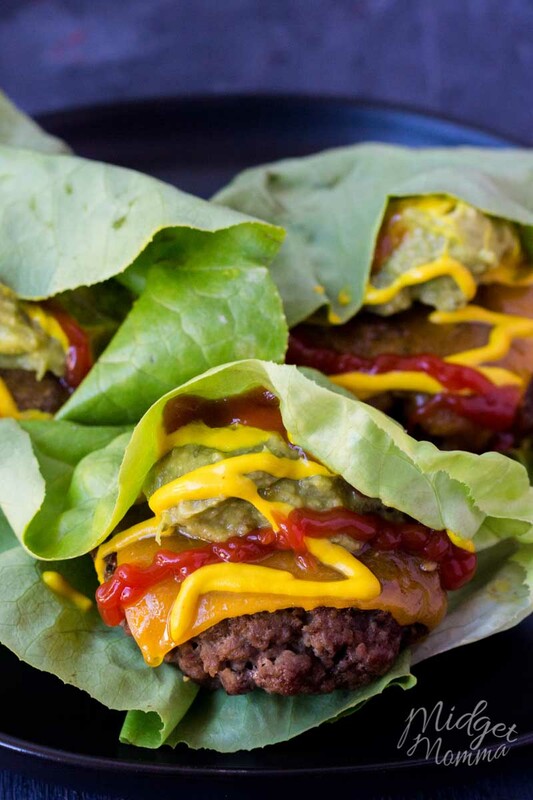 If you are low carb or keto use things like cucumbers, green peppers, celery or pork rinds to dip. If you don’t care about carbs, then totally go for dipping tortilla chips in it or putting it on top of bread. 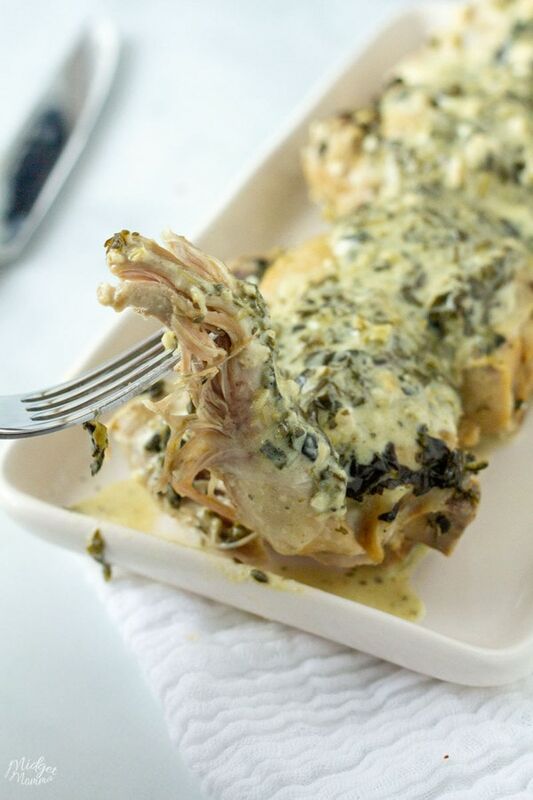 Cooked in the instant pot, this instant pot spinach artichoke chicken thighs recipe is done in less then 20 minutes! Add the chicken, garlic, cream cheese, chicken broth, artichoke hearts, spinach into the instant pot. Place the lid on with the seal shut. Turn it on manual pressure for 10 minutes. Let the steam naturally escape for 8 minutes. Carefully remove the chicken thighs from the instant pot, cover the chicken with aluminum foil to keep the chicken warm while you make the sauce. Turn the cooker to saute and bring the sauce to a boil, making sure to stir occasionally to keep it from boiling. When the sauce has reached your desired consistency serve it over the chicken thighs. Keto Casserole Recipes – Tasty, quick and easy recipes that are keto friendly, low carb and totally delish! 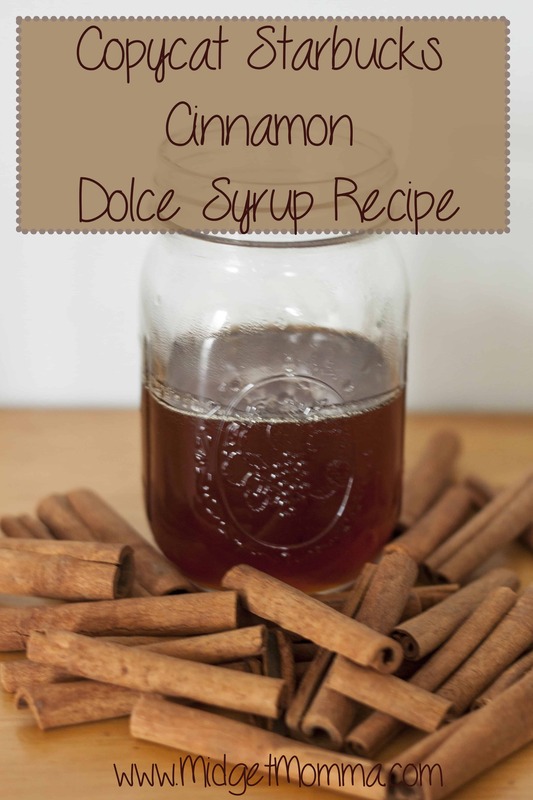 More tasty Recipes to try! 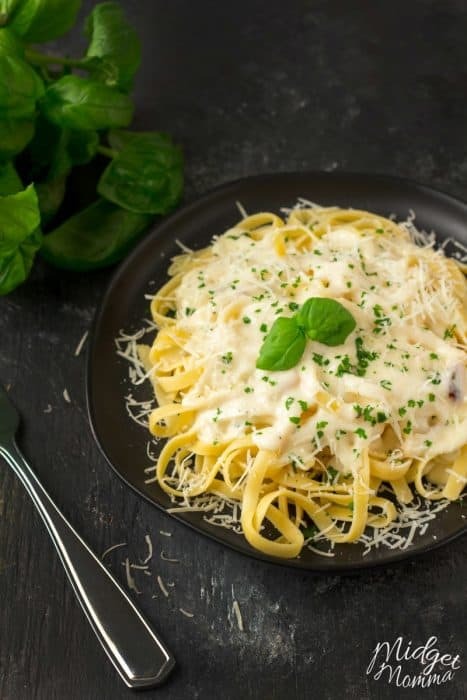 Garlic Cream Sauce – Tastes great on Noodles, Zoodles & Meat too!